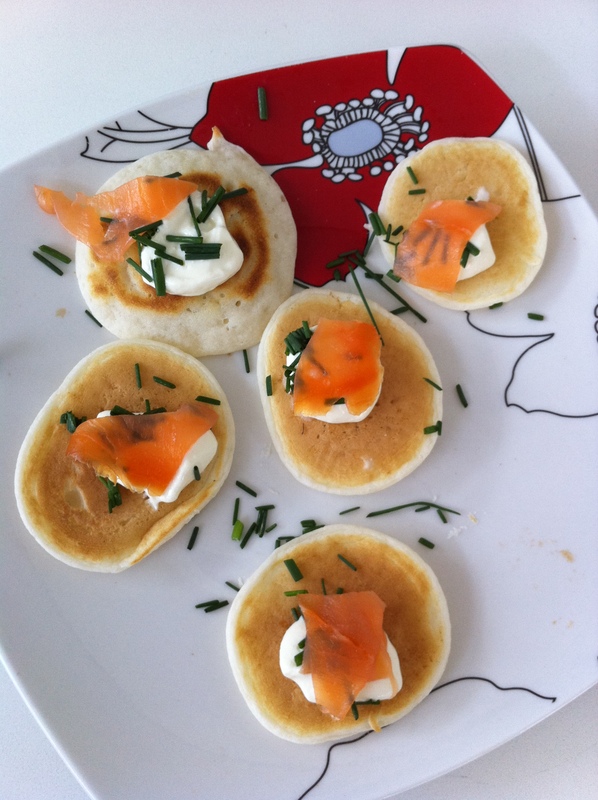 I was going to my parents place down the coast for Christmas drinks and Mum was making mini chive pancakes with sour cream and smoked salmon, a recipe taken from the Coles Christmas magazine. 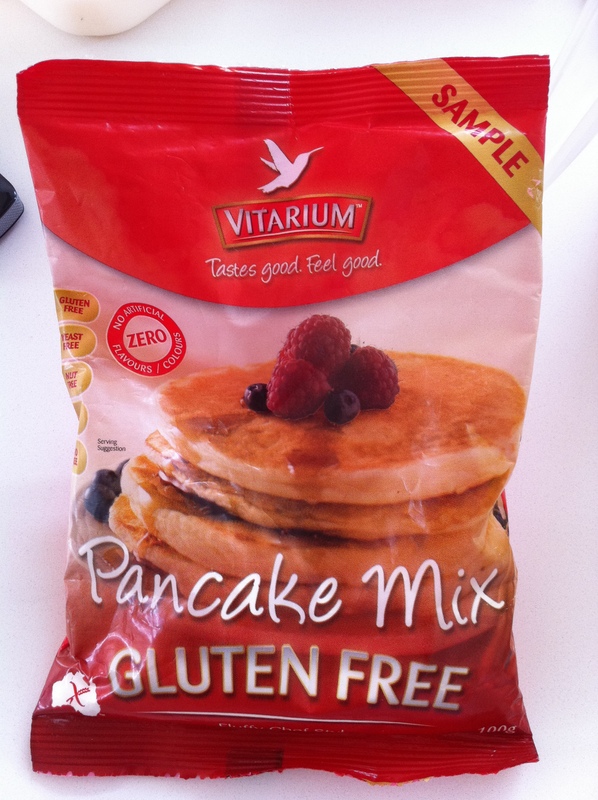 I remembered that I had a sample packet of Vitarium‘s pancake mix in the cupboard and therefore decided to make a few gluten free pancakes for myself. I made up the pancakes, however added quite a lot more milk than the directions on the packet suggested as they were too thick. I also hadn’t realised that you were supposed to add chives to the pancake mixture before cooking them, so I didn’t do this. The pancakes took a long time to cook compared to the glutenous ones, however that’s a bonus if you all too often burn things! (it also means you can walk away and do something else in the meantime knowing that they wont burn). Then all you need to do is place a dollop of sour cream on each pancake, sprinkle with chives and then place a piece of smoked salmon on top. 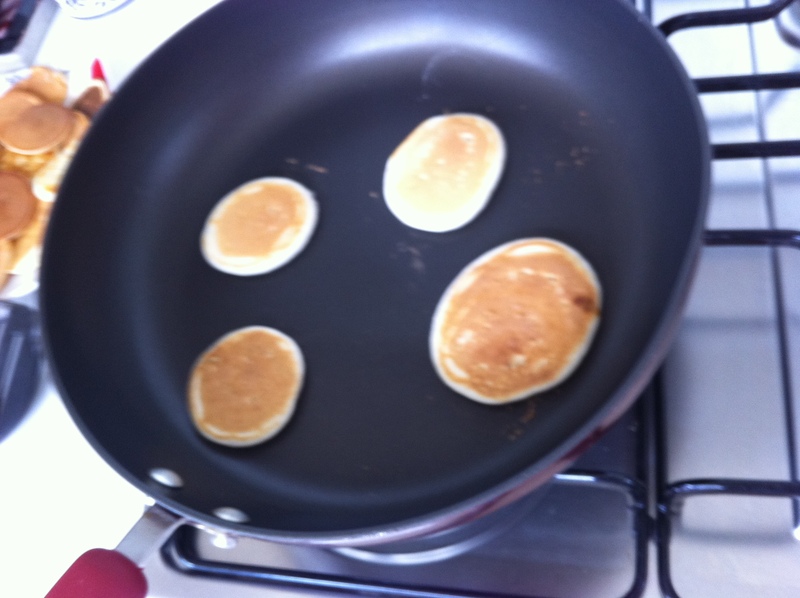 The gluten free pancakes were a little rubbery (especially after they cooled down), however with the toppings they tasted great and are a great party snack. What is your favourite quick and easy gluten free party snack?